As we all know, everyone wants to get verified on Instagram because it’s a sure win. It’s an emblem that represents authenticity, which gives users the impression that a verified account is worth their time and trust. And that’s one of the biggest reasons why people and brands are doing whatever they can just to get their hands on that blue check. So, how do you get verified on Instagram? Well, before this year, it was almost impossible – it was super difficult. Fill out the form by providing your Instagram username, full name, and a government-issued ID that proves your authenticity (ex: driver’s license). And if your account represents a business, you may need to add official business documents (ex: tax filing). Here is how to get verified on Instagram in two simple steps. Once you’ve submitted all the information required, you’ll need to wait for Instagram’s response. The platform will check if your account abides by all their terms and conditions. They will check for authenticity and verify if you are actually a real person, business, or entity (organization and the likes). They will also check for completeness, which means you’ve filled a bio, uploaded a profile photo, and posted content at least once. And lastly, they will gauge and measure how often users search for your account and if there’s any trouble or challenge in doing so. If you’re having trouble seeing this feature, please update your app first. It may just be a version problem. Or it could also be that the get verified on instagram feature hasn’t rolled out in your country yet. And lastly, it could be that your account simply does not need a verified badge. Is a Verified Account Vital? A quick answer is NO. It’s not the end of the world if you don’t get a verified badge on Instagram or on any platform. With determination and with the right strategy, you can be successful. Nonetheless, it would still be an excellent booster. The only time I think that it would be crucial for your account to have the blue badge is when you or your brand is being impersonated by multiple entities and has been affecting your business significantly. 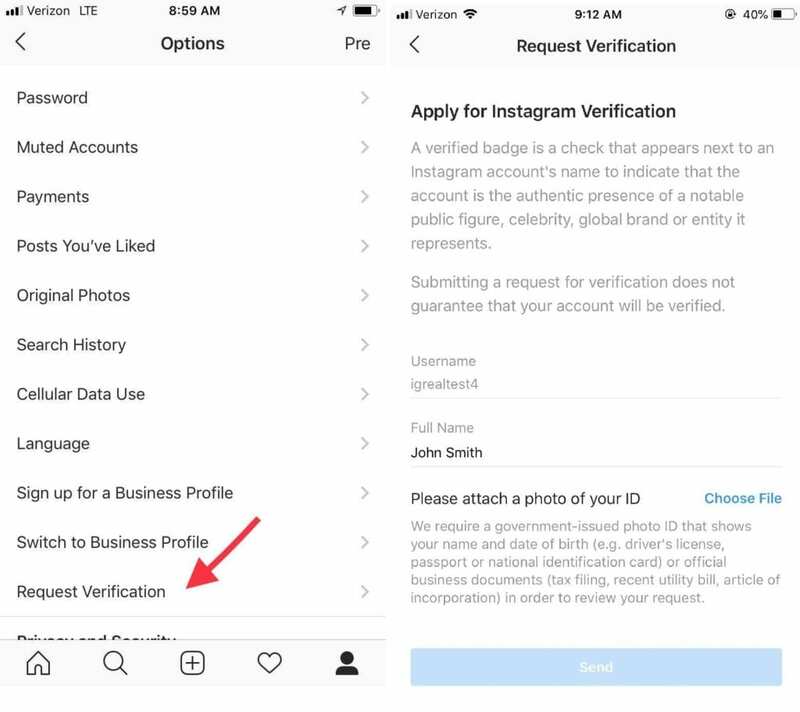 If you do not have the feature, and you feel that there is definitely a need for your account to be verified, you can contact Instagram via email – [email protected]. However, there is no guarantee that you will be entertained in time due to the volume of emails they get on a daily basis.